The 2019 version of the Ducati Scrambler 800 series of motorcycles is set to be launched in India soon. We get our hands on the Ducati Scrambler 800 Icon and the Ducati Scrambler 800 Desert Sled in Thailand to see what they offer and whether you should be saving up for them, or not. 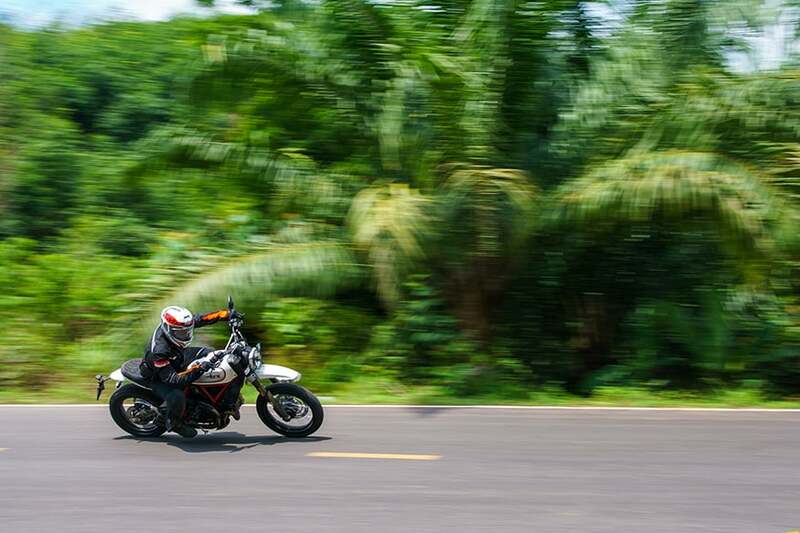 The 2019 series of Ducati Scrambler motorcycles are set to enter the Indian market soon and we got a chance to take them out for a ride all the way in Thailand to get a taste of what is to come. We rode the new Ducati Scrambler 800 Icon and the Ducati Scrambler 800 Desert Sled, and here’s how it went. 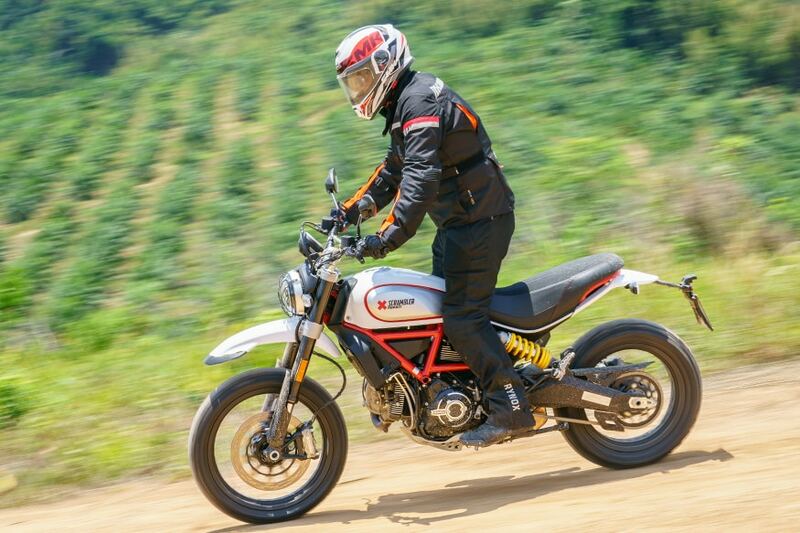 Let’s start by talking about one of the strongest points of the Ducati Scrambler which is the design that it has. This design has allowed it to create a unique identity for it all across the world and with over 50,000 units of the Scrambler already been sold worldwide, this design definitely works well for Ducati. So as a result, they have not made a lot of changes in that department. However, there are several smaller bits that add up as a whole to give the motorcycle a fresh look. The most evident one is the new headlamp cluster that now looks a lot more dynamic and modern. The headlamp bezel has been blacked out and the headlamps now have an X-shaped element inside them which evenly breaks into the ring-shaped LED daytime running lights. Right next to the headlamp cluster, you will notice that the updated Scrambler also sports new indicators which again look more modern and go along with the dark theme of the new face of the Scrambler 800. Then there’s also the updated fuel tank that now gets thicker side panels which are more chiselled and again, have a dark bezel around it. All in all, the new Scrambler 800 now looks a lot similar to the Scrambler 1100 in terms of design elements and that also gets extended to the blacked-out engine and the aluminium-finished accents on the wheels. There’s a new seat which is now a bit flatter and uses different foam density in order to be more comfortable for the rider. And finally, there’s a new muffler too which looks a lot cleaner than before. Mechanically, though, the Scrambler remains unchanged. 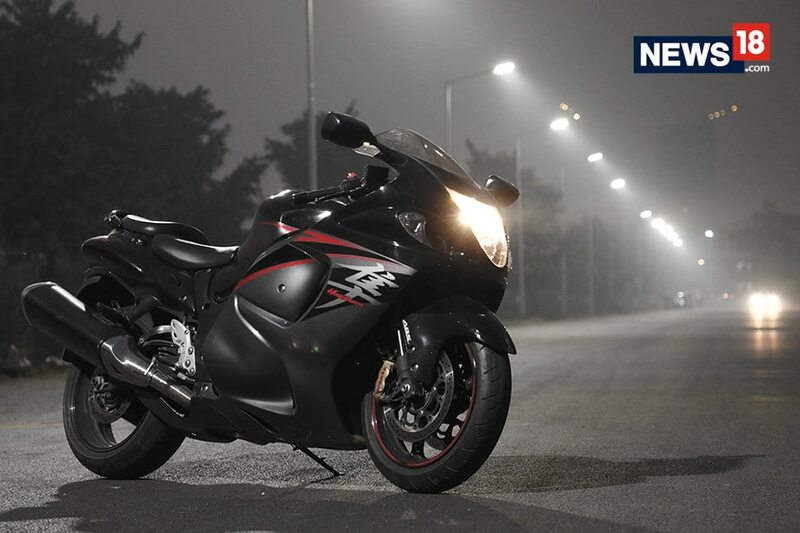 It continues to be powered by an 803cc L-Twin engine that makes 73 hp and 67 Nm of torque and comes with a 6-speed transmission. But the change we loved the most is, well, not that big of a change when you look at it on paper. But, when it comes to the riding experience, it is a pretty big one. What we are talking about is the throttle response which was a bit of an issue in the earlier models as back then, the Scrambler used to feel jerky at low engine speeds. Now, however, it has been smoothened out and that results in you being able to enjoy the motorcycle so much more. 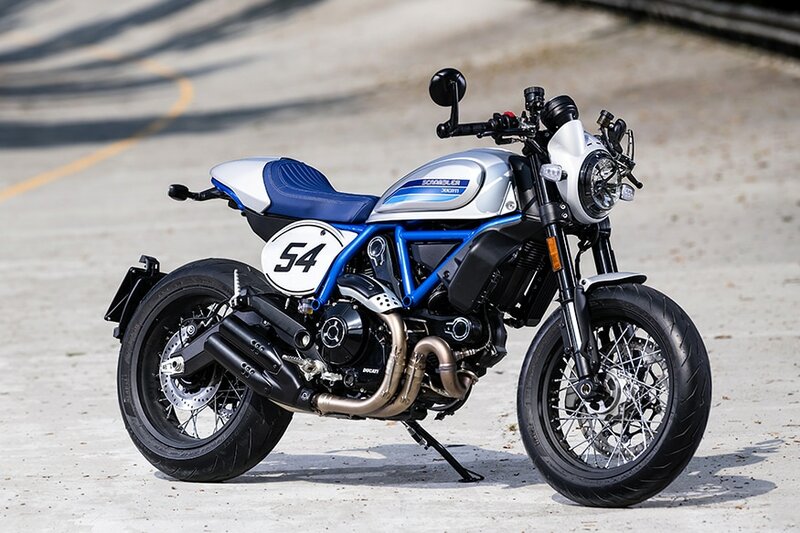 The throttle response is now linear and intuitive which means that you can now have much more fun on the Scrambler and that is what it was supposed to be all this while – a fun motorcycle. And helping you enjoy it to the fullest is now the addition of an all-new cornering ABS system which is frankly fantastic. The best part is that no matter what you do, the ABS is one of the least intrusive units out there and does not rob you off of the feel that lets you know exactly what the motorcycle is going through. The suspension has been tweaked too as it is now plusher and more capable in eating up bad patches of roads. And yes, the new seat is actually better than the old one but honestly, it still isn’t the most long-distance friendly seats out there. The clutch is also now hydraulic and gets adjustable levers, which allows for a lighter feeling clutch lever and that is something that should be very helpful for our city driving conditions. And the feel-good factors carry on over to even more stuff, like the new switch cluster that feels a tad bit more premium and yes, finally, there’s a fuel gauge on the instrument cluster and a gear position indicator too! And the niceties don’t end there since there is now cornering ABS on the motorcycle, this means there is also an IMU on board, which has also allowed Ducati to throw in self-cancelling indicators as well and that’s a nice touch. 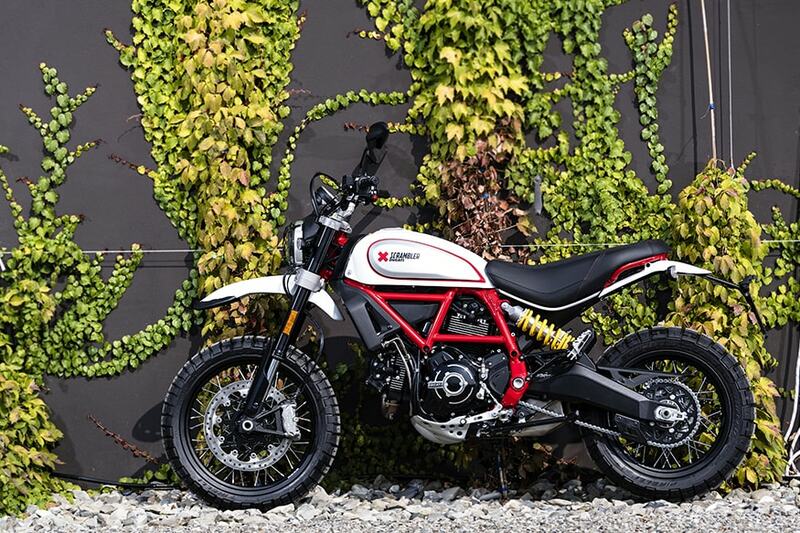 The Desert Sled gets all the same updates as well but it is important to note that Ducati has streamlined the 2019 range of scramblers to a total of four and all of it is now indicated by different coloured chassis. This includes the Icon and the Full Throttle getting blacked out frames, the café racer inspired well café racer now gets a blue frame and the Desert Sled now comes with a red frame. And in my opinion, the Sled now looks a lot meaner thanks to the new blacked-out elements and the red accent. And without a doubt, it still packs the punch that it is known for – which is being a capable off-roader that not only looks the business but matches it with its capabilities too. And all of these changes show that Ducati actually heard to the feedback to the older Scrambler and has now pretty much sorted out the little bits that we wanted them to do and that overall, makes the motorcycle feel a lot more complete, a lot mature in terms of the value that it offers. So at the end of the day, what the 2019 series of Scrambler motorcycles does essentially is that it takes an existing motorcycle which was already good in the first place, selects the few niggles that it had, irons them out and offers them with updated features as well. The only thing that remains to be seen is the kind of pricing that they come at because that will be crucial in letting these motorcycles be the success that they deserve to be in the Indian market.